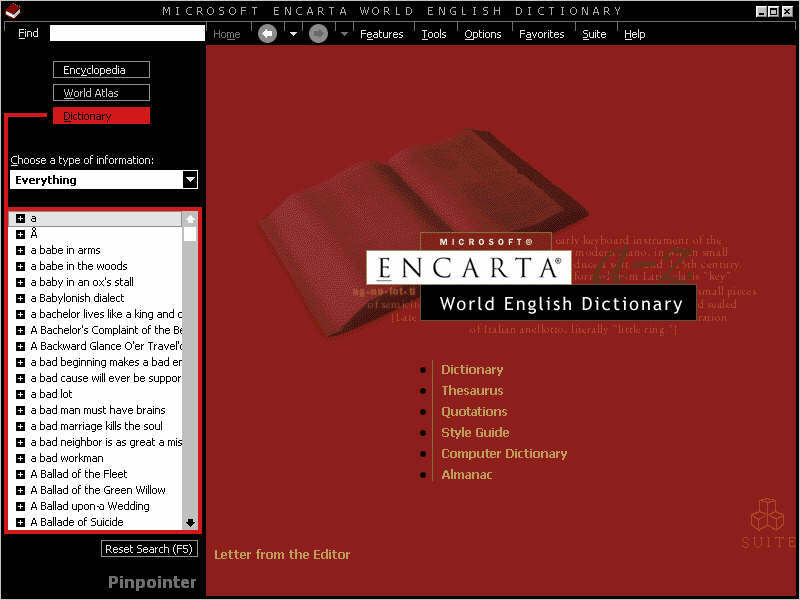 Encarta Dictionary is a comprehensive database of words which you need to know to enrich your word power. 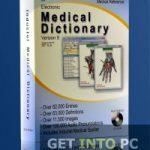 Developed under the banner of software giant i.e Microsoft, Encarta dictionary has all that you will dream for in any of the dictionary. In fact when we will use it you will find out that its more than your expectations. Nothing to be surprised, Microsoft has always come up with expectations which has made it an undisputed champion in software world. Encarta Dictionary has a very user friendly interface which will let you sail smoothly while going on the voyage of improving vocabulary. At the top left of the interface there is a search bar in which you type your word you are looking for and below this search bar is a drop down menu in order to filter your search. By default search everything is selected and in my view that is the best option in order to gain as much knowledge as you get. 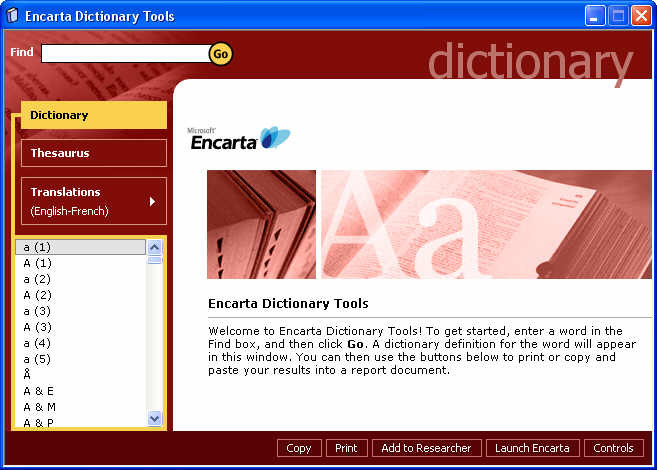 All you need is to type in the search bar and Encarta dictionary will show you your desired results. Encarta also provides the facility of pronunciation in written form as well as in audio format. If you did not pick the pronunciation in written form you can click on a small speaker icon and Encarta Dictionary will speak it for you in proper pronunciation. The result i.e the meaning of your word is displayed towards the right side of interface. 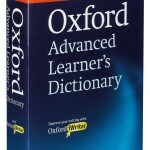 This portion is divided into three tabs i.e Dictionary, Thesaurus and Translation. 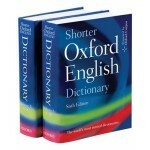 Dictionary shows the meaning of the word. Thesaurus shows the synonyms and antonyms while translation tab shows translation of the word in different languages. Listed below are some of the features of Encarta Dictionary which you will experience after Encarta Dictionary free download. 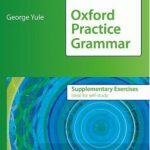 Complete tools for enhancing vocabulary. Translation of word in other languages. 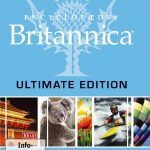 Before you start Encarta Dictionary free download, make sure your system meets the minimum system requirements. 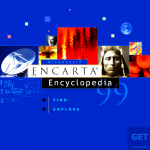 Click on below button to start Encarta Dictionary free download. 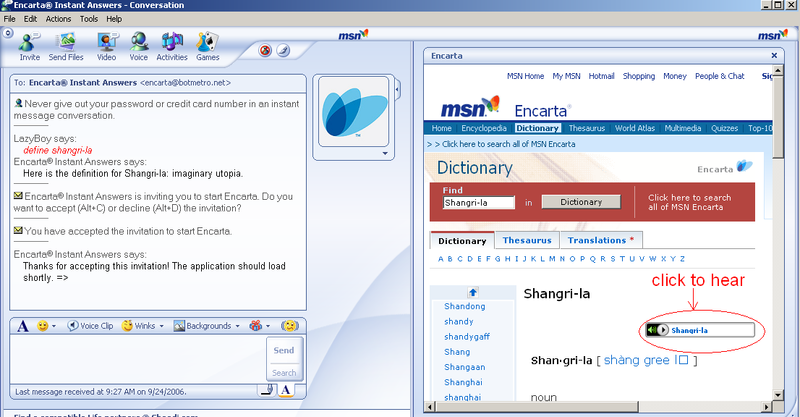 This is complete offline installer and full standalone setup for Encarta Dictionary. This will work for both 32 Bit and 64 Bit operating systems.